New Pork Chop Names are Official! 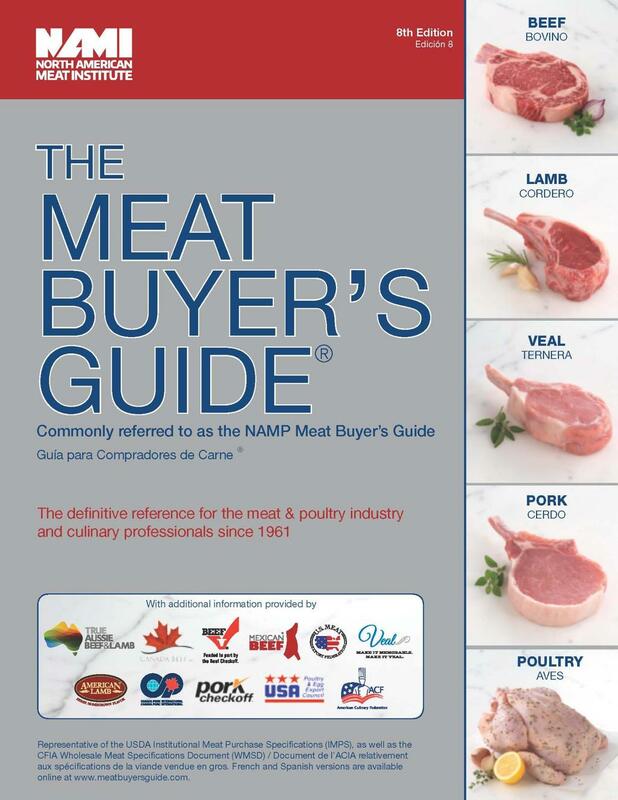 The North American Meat Institute (NAMI), formally the North American Meat Association (NAMA), has released their eighth edition of The Meat Buyer’s Guide. Within the twenty-seven pages of foodservice primals, subprimals and portion cuts of pork, NAMI’s new guide also features revised names for all bone-in and boneless pork chops cut from the shoulder and loin. These names now align with the retail cuts available to consumers, presenting an opportunity for the foodservice industry. The National Pork Board has championed the changing of the common names of pork chops cut from the shoulder and loin since 2011. The goal was two-fold: 1) to create common names that better identified cuts using nomenclature that consumer were already familiar with from other species, and 2) to standardize nomenclature in retail and foodservice. The Uniform Retail Meat Identity Standards (URMIS) nomenclature was updated in 2013. This change is helping to overcome the previous issue of “assorted pork chop” packages at retail and is providing more value and clarity for consumers. The Meat Buyer’s Guide has been available since 1961 and is the premier resource for those in the foodservice industry who buy, sell, cut, cook, eat and enjoy meat. The National Pork Board has had a presence on The Meat Buyer’s Guide, Pork Section, revisions committee for the past 10 years. Over the past two years, each page of the guide has been reviewed to consider the current cuts’ relevance and ultimately, inclusion in the most recent edition. Beyond the addition of the revised names for chops, many updates were made to reflect cuts currently growing in popularity in foodservice kitchens like whole heads, cheek meat, and various cuts of offal. The updated Meat Buyer’s Guide aligns with the trends and business needs of the current foodservice marketplace. Click here for more information on the Pork Checkoff. Click here to purchase the new Meat Buyer’s Guide.